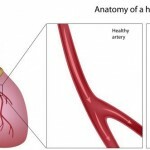 You are here: Home / Heart Disease / Coronary Artery Disease / Can heart attack damage be reversed? One of the most frequent questions our patients ask after surviving a heart attack is: Can heart attack damage be reversed? Every year, over 700,000 Americans have a heart attack. Improvements in the treatment of myocardial infarction, especially with the reopening of the culprit artery with percutaneous coronary intervention, have led to a large number of heart attack survivors. During the acute phase of the heart attack, the artery is occluded by a thrombus or clot. Below is an example of a patient with a widow maker heart attack. The proximal LAD is completely occluded. The lack of blood supply to the heart muscle causes myocardial cell death and will lead to a scar formation. When the artery involved gives blood flow to a large area of heart muscle, a large scar ensues. The extent of myocardial scarring leads to progressive left ventricular remodeling with enlargement of the left ventricle, loss of muscle function and development of congestive heart failure and sudden death. Current approaches to relieve myocardial ischemia by reopening the occluded artery as quickly as possible can limit the heart damage. Below is the same patient, treated with a coronary stent. In addition, medical therapy with ace inhibitors/angiotensin receptor blockers and beta blockers can limit certain maladaptive pathways that could lead to infarct expansion. On the other hand, regenerative medicines could lead to shrinking of the scar and prevent the development of clinical heart failure. 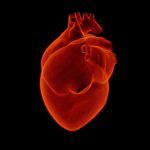 Can heart attack damage be reversed? Experimental studies. In the last decade, the recognition that adult hearts undergo a constant regeneration of its cellular components has created new opportunities for treatment of heart disease. 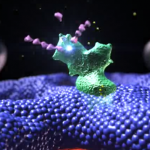 This regeneration machinery resides with stem cells located within the heart. These stem cells can transform into heart muscle (myocytes) or blood vessels (smooth muscle, endothelial cells). In most animal models, the occlusion of an artery leads to damaged myocardium and is replaced by a scar, just like in humans. Zebra fish fully regenerate their heart muscle within 2 weeks after more than 20% of their hearts have been resected. These incredible regenerative properties are also shared by the newt. 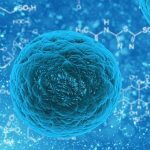 This enviable regenerative capability has generated a lot of enthusiasm in stem cell research. 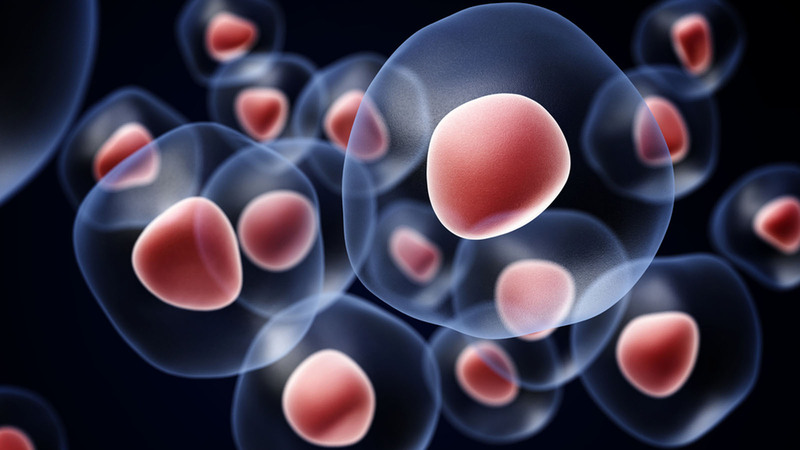 Various types of stem cells have been used for myocardial regeneration. In this report, we will look at cardiospheres derived cells. Can heart attack damage be reversed by Cardiospheres derived cells (CDCs)? Cardiospheres describes a cluster of endogenous cardiac stem cells that form when the cells are cloned. Samples of heart muscle are obtained by biopsies of heart tissue and then grown in culture to yield millions of Cardiospheres derived cells (CDCs) that can later be injected intravenously or intracoronary. These stem cells can differentiate into heart muscle and blood vessels (such as collateral’s seen in patients with coronary disease). Research has demonstrated however, that the therapeutic action of CDCs does not depend on their capacity to engraft and differentiate, but from their ability to stimulate endogenous repair. The release of growth factors triggers regeneration of heart cells and inhibits cell death and fibrosis resulting in improvement in muscle function. In preclinical models of heart attack, they have been shown to reduce the scar size, regenerate cardiac muscle and improve myocardial function. 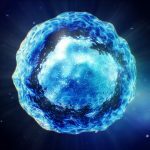 In a phase 1 clinical trial, CDC autologous (from the same patient) stem cells were obtained from endomyocardial biopsies of the patients 2-4 weeks after their heart attacks. The CDCs were grown according to the cardiospheres culture method and injected into the infarct related artery one and half to 3 months after their heart attacks. Infarct size was assessed by Magnetic Resonance Imaging (MRI). The patients treated with CDCs showed a reduction in scar mass and increase in viable heart mass and regional wall motion. Obtaining heart muscle tissue with endomyocardial biopsies can be quite cumbersome for the patients. In addition, there are no guaranties of cell integrity. Some cell samples may not be suitable for clinical use. When heart samples are obtained from an Organ Procurement Organization, a master cell bank can be created. Harvested cells grown from this tissue can be used as an allogeneic (other people) version of CDCs or CAP-1002 (Capricor). In preclinical studies, these allogeneic CDCs have been demonstrated to be safe and the efficacy profile of CAP-1002 was indistinguishable from prior studies using autologous CDCS. The principal goal of phase I/II ALLSTAR clinical trial was to establish the safety of intracoronary infusion of allogeneic stem cells,CAP-1002, in patients with ischemic left ventricular dysfunction (EF less or equal to 45%), 4 to 12 months after a large anterior myocardial infarction. 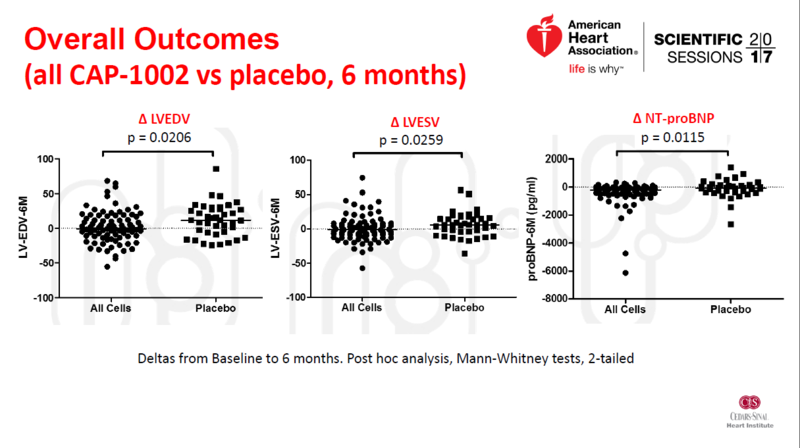 The secondary objective was to evaluate whether intracoronary infusion of CAP-1002 resulted in structural cardiac or functional clinical benefits in these patients. After a baseline cardiac MRI, patients were randomly allocated to receive CAP-1002 infused through an over-the-wire angioplasty balloon catheter inflated at the start site of the previous blockage of the infarct related artery. Cells were infused over 15 minutes, in 3 boluses of 25 million CDCS each. The angiogram below represents a typical patient enrolled in the study. The MR imaging protocol is pretty daunting and the adherence to a standardized methodology cannot be overemphasized. For the ALLSTAR study, 30 centers participated and enrolled patients. Enrollment into the study occurred early in our cardiac MR imaging experience . Thanks to the involvement of our radiology department at BBH Princeton with Dr Ricardo Bracer and the radiology technicians, we were able to perform good quality MR imaging studies. Several centers enrolled fewer than 5 patients while some others had more than 15 patients enrolled. In total, 134 patients received the CDC’s and 44 received placebo and underwent follow up MR imaging studies at 6 and 12 months. The gradient echo images represent the long axis of our patient with a large anterior myocardial infarction. Can heart attack damage be reversed as assessed by MRI? 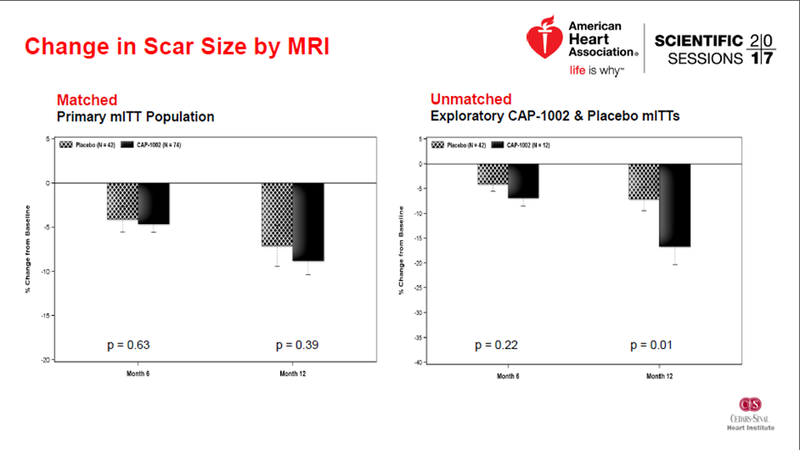 Using MRI infarct size is an important predictor of mortality and major cardiovascular events. MRI spatial resolution allows for the detection of subendocardial infarcts. The infarct size calculation can be expressed as infarct mass (gm) and as a percentage of the LV or total myocardial mass. It correlates well with histology and PET scanning. To perform MR imaging, we used a 1.5T whole body scanner (GE 450 Widebore at our institution) and a phase array body coil that is wrapped around the patient’s chest. Some of our patients are claustrophobic and for the study, one of our research nurses usually has to stay with the patients. The protocol starts with anatomical stack localizer scout imaging to determine the orientation of the left ventricle short axis imaging plane. For evaluation of the left ventricular function, cine MR imaging is performed using ECG modified gated gradient echo sequences and breath holding technique. This results in dynamic images with high temporal resolution that allows for evaluation of the left ventricular wall motion and volumetric measurements. The study above evaluates the LV size and function in the long axis of the left ventricle. The wall motion analysis can be performed in the short axis, from the base of the heart to the apex as seen below. For imaging the myocardial infarct, the MRI protocol used a special sequence called Inversion Recovery combined with a contrast agent called Gadolinium (Magnevist in ALLSTAR). contrast agents do not accumulate in normal intact heart cells (e.g. myocytes) but rather accumulate in the extracellular space or into damaged, rupture myocytes. Therefore, the presence of Gadolinium enhancement can be used to assess infarcts of the myocardium and other myocardial disease. Ten minutes after bolus injection, delayed images are acquired using a sequential T1-weighted Inversion Recovery turboflash sequence, with a variable T1 delay adjusted for each patient. The optimized choice for Inversion Recovery time “nulls” the signal of the normal myocardium. This optimization also depends on the contrast dose which varies according to the patient’s weight and kidney function. The delayed enhancement images are then obtained 15 mins after intravenous injection with the patient holding their breath for 15 seconds. During that time a minimum of 12 slices covering the whole heart are acquired. 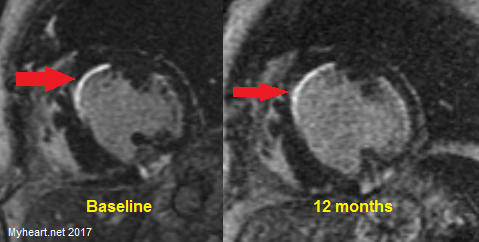 Below are the images of our same patient demonstrating a short axis view depicting the infarct (left panel) and where the slice was obtained from the LV (right panel) at baseline and at 12 months in 2 representative levels in that same patient. Artifacts caused by sub-optimal breath holding technique and patient motion, also referred to as “ghosting artifacts”, can significantly affect the image quality of the study. Inability to obtain an adequate inversion time (T1) can also affect the study, resulting in inadequate nulling of normal myocardium and making detection of abnormal enhancement difficult. This can result in underestimation of the infarct size or extent of the disease. The presence of metal, such as surgical clips, stents and ICD’s can also cause artifact and degrade the image quality to almost non-interpretable. 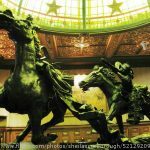 Some software application can be used to compensate for these artifacts but there are not perfect. Finally, gaps in acquisition through the heart can result in underestimation of the left ventricular mass and/or infarct size. So as you can see, there are a lot of technical and patient factors that can influence the accuracy of infarct size evaluation by MRI. The ALLSTAR study set out to test whether Cardiospheres-derived cells can reduce infarct size, 3-12 months after a large anterior myocardial infarction. Below represent the infarct at baseline and at 12 months on 2 representative slices on the same patient. The red arrows are pointing to the primary area of the anteroseptal wall infarction. Notice also a small inner layer of brightness at 2 and 3 o’clock indicating an area of subendocardial infarction involving the anterolateral wall. Finally, the area of increased brightness at 5 o’clock represent a previous infero-lateral infarct. All the measurements are analyzed at the MRI core lab at Johns Hopkins with Dr Mohammad Ostovaneh and Dr Joao Lima as the director. The interim results have been analyzed and the trial has been found to be neutral in regards to infarct size regression on the 6 or 12 month MRIs. There were signs of improvement in left ventricular volumes and natriuretic peptide. There were very low clinical events favoring the treatment group. This was presented at the American Heart Association, Scientific Sessions. LVEDV= Left Ventricular End-Diastolic Volume. LVESV= Left Ventricular End-Systolic Volume and NT-proBNP = N-terminal pro-brain natriuretic peptide. Asthma with lots of mucus, does it has a cure?, and how can the victim manage it for life if its cureless? Hi my name is rupali .i want to share my dad reports.can u tell me treatment for that.